and funnels even if you are not a skillful designer or developer! 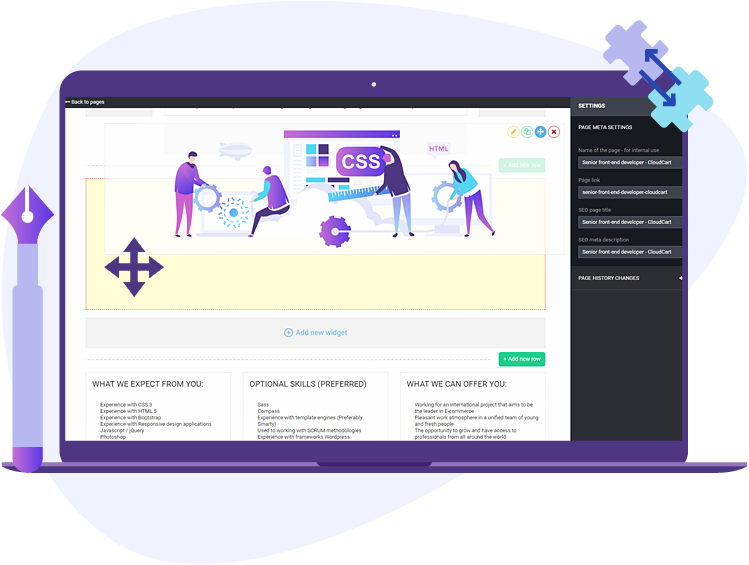 CloudCart has developed a drag & drop page builder with user-friendly design that lets you create professional, message-matched, and mobile-optimized landing pages in minutes. 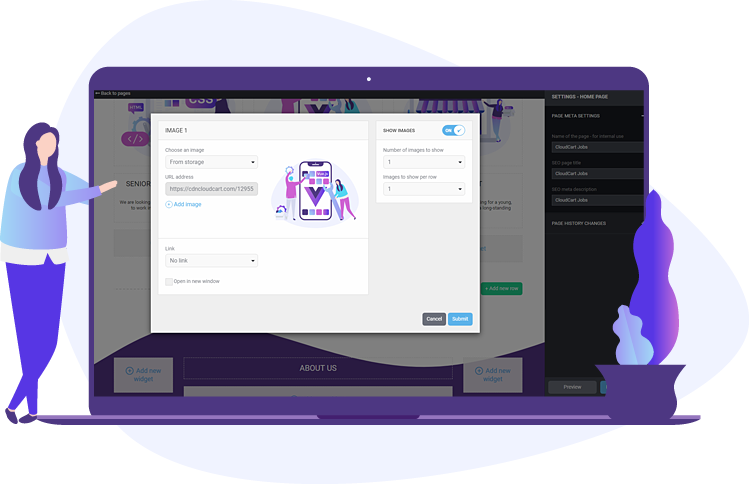 You no longer have to work with developers & designers to create stunning landing pages that match your needs. that don't deliver on time and don't offer future technical support free of charge. NO MORE time efforts & money expences to create professional landing pages that match your needs & goals. to add, remove and customize CTA buttons, videos, images and more. Easily create professional, message-matched, and mobile-optimized landing pages in minutes without a developer. Add or remove sections, headers, footers and customize texts, CTA buttons, videos, images and more. All landing pages are optimized for instantaneous loading and smooth scrolling for an unparalleled mobile experience. Seamlessly embed your email or contact form right into any landing page you create. No complications, just a quick copy and paste of a short code into your HTML widget. Add or remove sections, headers, footers and customize texts, CTA buttons, videos, images and more without a developer. Easily upload, organize and locate every image you need for your pages. Restore earlier versions of your landing page when needed. Insert custom HTML code, email & contact forms, tracking tags, and more. Choose your header tags and customize your meta title and meta descriptions. You can create a custom landing page and assign it as your actual Home Page, Thank you page or 404 page.